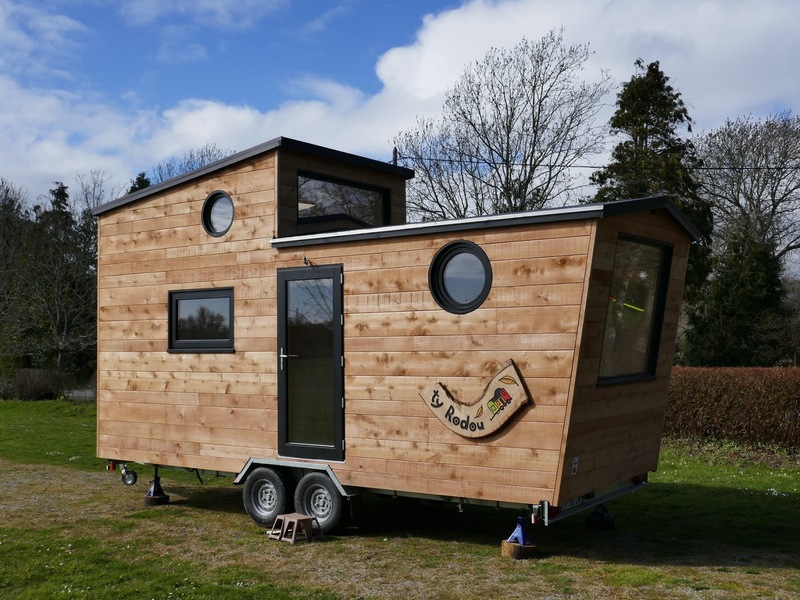 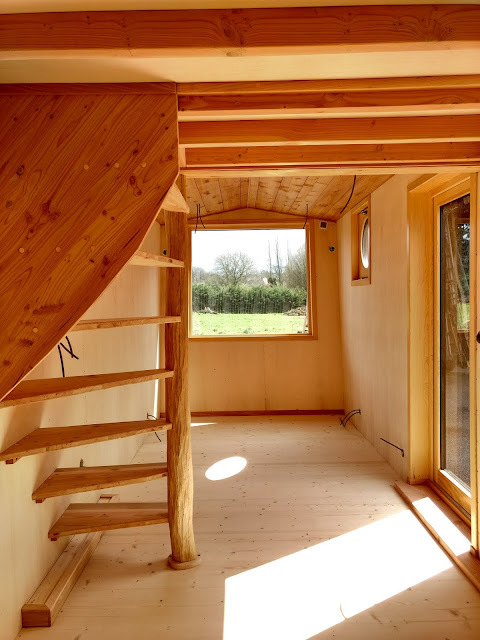 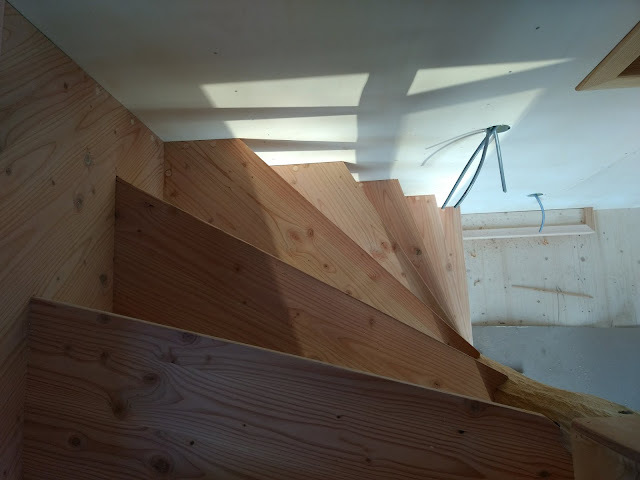 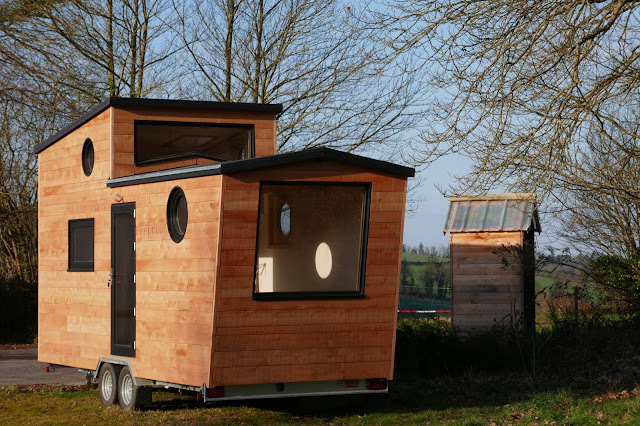 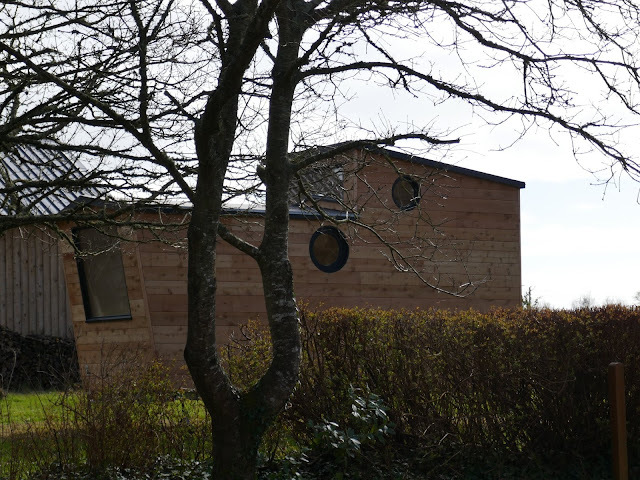 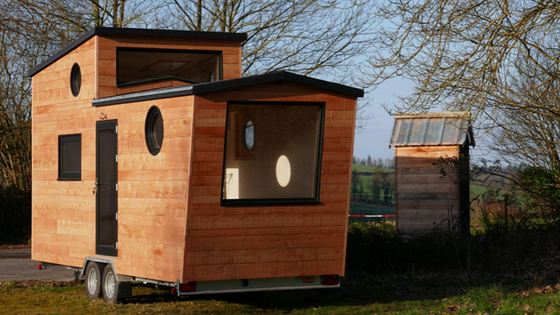 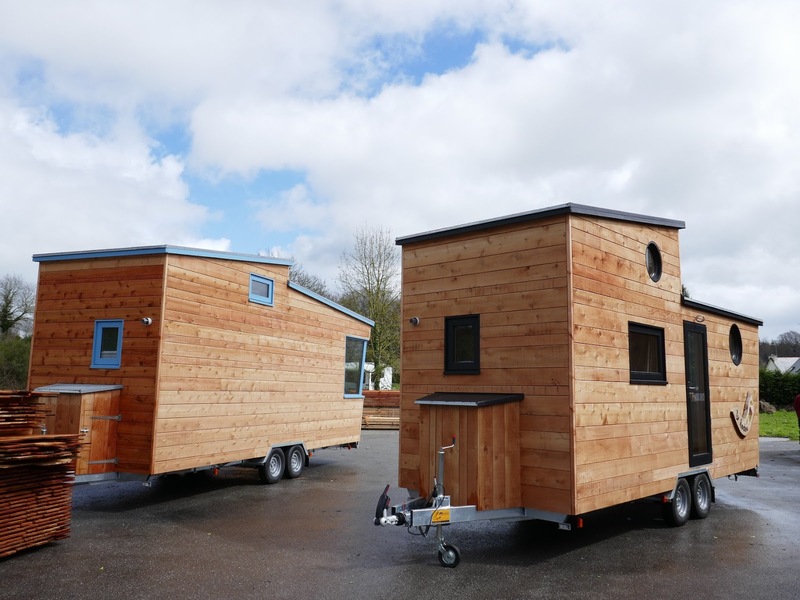 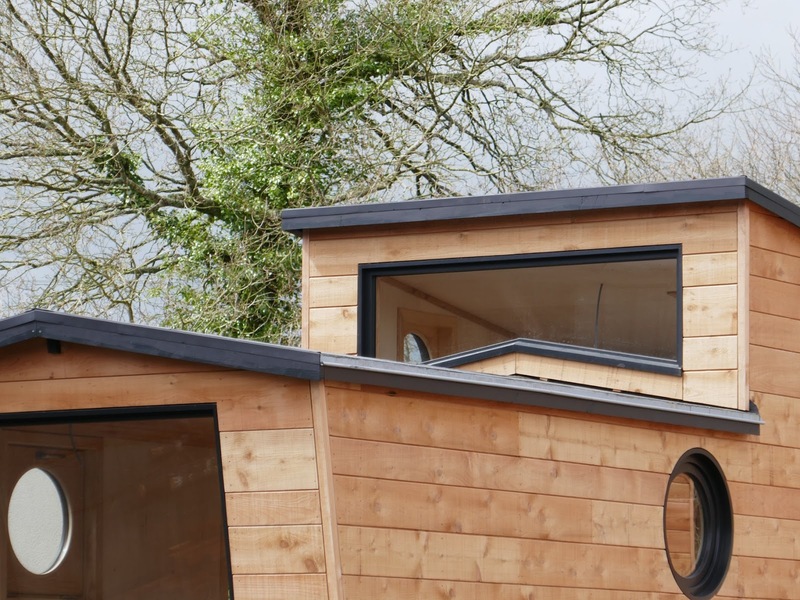 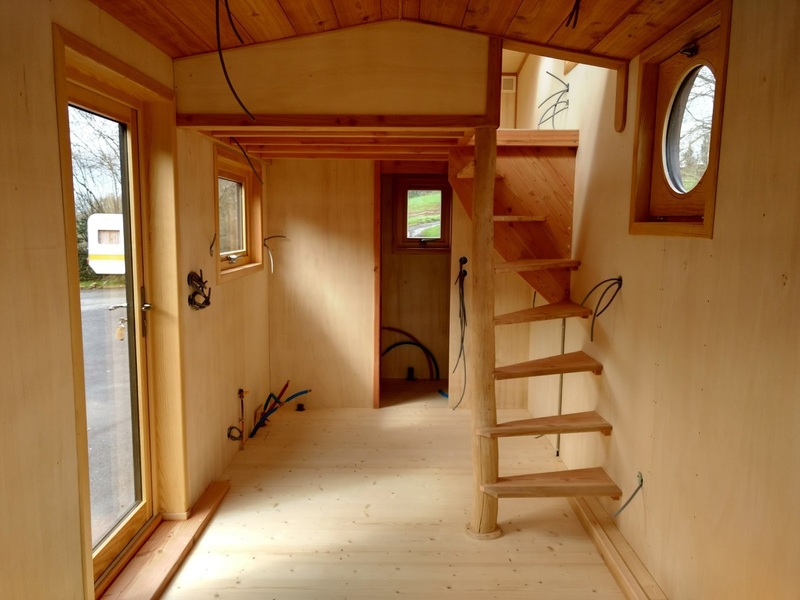 The newest tiny home from French tiny house builder, Ty Rodou, is this beautiful contemporary design. The house is built onto a double-axle trailer with an eye-catching exterior featuring natural wood siding with dark accents. 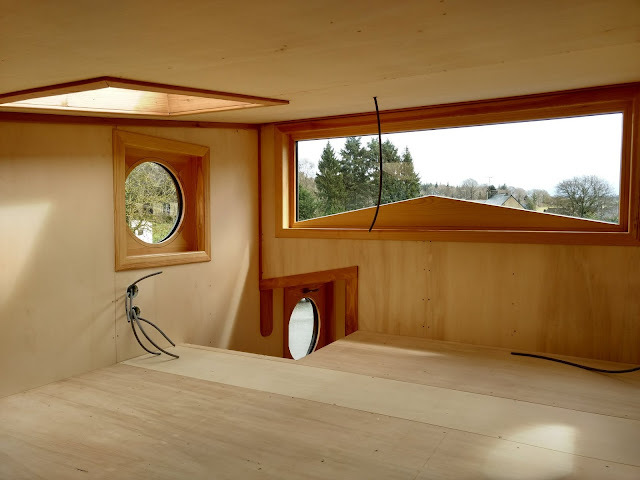 Inside, the home has 1.2-meter height at its highest point and 0.8-meters at its lowest. Windows and skylights keep the space well illuminated and feeling light and airy!